The benefits of clearing and organising your wardorbe space go far beyond simply being practical. By taking time our to reorganise your space, you can reap physchological benefits that will leave you feeling lighter, brighter and feeling your best. 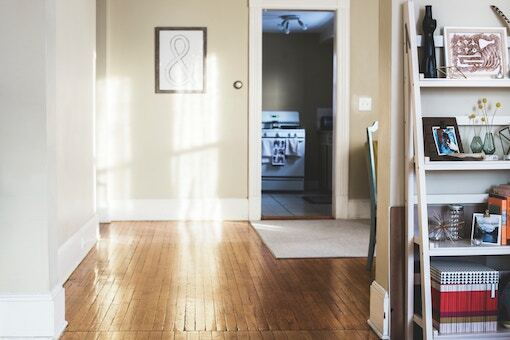 Read this blog to discover just how you can benefit from a spring clean this autumn! With the transition from summer to autumn, there’s no better time for a wardrobe refresh. 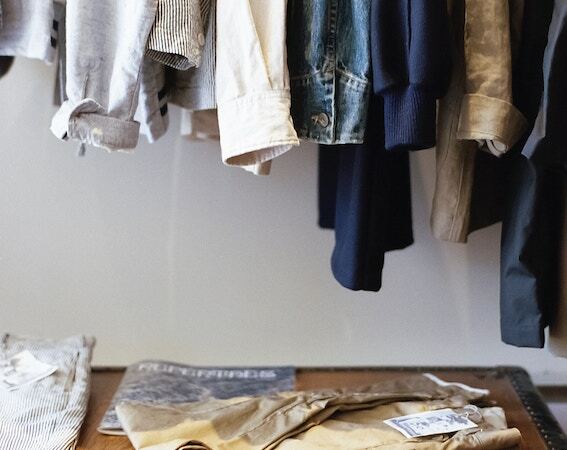 Clearing out your wardrobe has many practical benefits, but most importantly it gives you headspace and has many psychological benefits too. Our wardrobe is a personal space, and in many ways reflects our emotions and lifestyle, making spring (or autumn) cleaning both exciting and overwhelming. Having been proven to alleviate anxiety, boost mood and productivity among other benefits, it is well worth the time and effort to cleanse and reclaim your space. 1) Save time and boost productivity. The daily struggle of searching through your wardrobe to find something to wear can be incredibly stressful and it adds precious time to your morning routine. Try organising your garments by type (e.g. shirts, tees, dresses) and/ or style (e.g. formal, office wear, casual). This will make choosing outfits much quicker and in addition you can identify where you may have over or under invested and donate to charity or buy accordingly. Another benefit of this is that you’ll rediscover clothes hidden away at the back of your wardrobe. These are the spaces that often invite moths and their eggs to thrive, causing holes that will need repairing. Our tip Don’t feel you have to have every garment for every season available at all times. Store your out-of-season garments in easy-to-access storage boxes with vacuum bags, along with lavender. This doesn’t only keep them in good nick and free up space for existing seasons garments, but they’ll be protected from clothes moths. For those garments already damaged by clothes moths, check out our moth-hole repair service and anti-moth treatment here. It’s fairly simple- if you can see what items you already own, you’re less likely to duplicate. Unfortunately, many of us are too used to investing in a whole new wardrobe every season, this is costly for us and not great for the environment either as we end up throwing away unnecessarily. If you store items correctly, mend as and when you need to, they’ll stay in great condition and you won’t need to buy as much. What’s more, you can make money by selling your unwanted garments that you might find when you declutter! Our tip Before you replace an entire garment (which can be costly), ask whether it could be reworked into something new, or repaired. Sometimes a nip here, tuck there or customisation is all something needs to be given a new lease of life. When clearing out your wardrobe, set aside all damaged and/or ill-fitting garments, and do not store them until they’ve been mended, reworked or passed on to be sold/ given to charity. Clothes that remind us of a different era of our lives, or that no longer fit can harbour negative feelings. Maintain clothes to reflect your present character, that make you feel confident in yourself and your style. Ensure your day to day wardrobe is useful, practical and is not harbouring garments for the sake of emotional attachment. Our tip As a rule of thumb, if you haven’t worn a garment in the last year then you are unlikely to wear it anytime soon. Ask yourself whether you’d like to rework, repair or remove them and make an active decision to do something with them. When it comes to sentimental pieces, we recommend you store separately from your everyday wardrobe. If you decide to transform or repair garments you can gain new found confidence in clothes that you have been holding onto but not able to wear. A well organised, de-cluttered wardrobe makes for a tidy mind. This in turn can positively impact other aspects of our lives, including other spaces within the home. It is proven that a tidy wardrobe can help you make better choices in your life, and even encourage you to embrace a healthy and well-balanced diet and lifestyle. Our tip Stay on top of your new-found wardrobe and mind space with regular maintenance, cleaning and clearing so nothing builds up again. Remember that any garments that need some TLC whether that’s mending or dry cleaning should be set to one side. Our service is designed to make ongoing maintenance as easy as possible and with home delivery, you’ll have everything in tip top shape in no time. Just because you’ve fallen out of love with your garments, that doesn’t mean someone else can’t enjoy them! It can be incredibly satisfying to see your pre-loved garments find a new lease of life, by handing them over to friends, family, or a stranger through a charity shop. Our tip At all costs you should avoid throwing clothes into landfill as this is a huge source of pollution globally. Help others and the planet by taking items to your local textile recycling centre, charity shop or repurpose the fabric into handy rags.